The Orabella's Blog...: Question of The Day- Ladies Would You Propose To Your Boyfriend and Men Would You Accept When She Does! 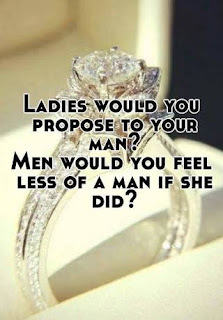 Question of The Day- Ladies Would You Propose To Your Boyfriend and Men Would You Accept When She Does! 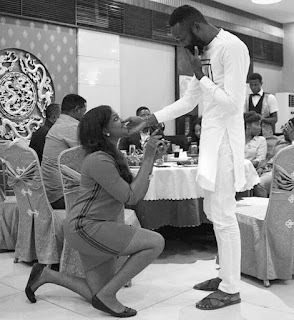 Its has been the norm for men in relationship to take the step to propose for marriage to their girlfriends and that has been maintained as the standard. 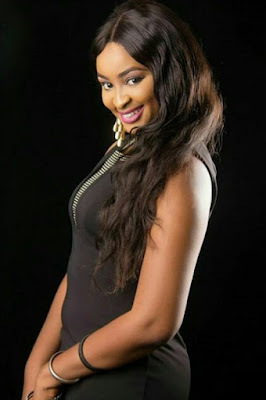 In this century things gradually take turns and you see women taking the bold step to pope that questions. 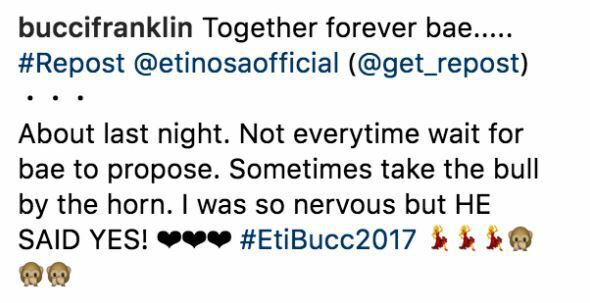 This case happened to a Nollywood actress and comedienne Etinosa Idemudia who proposed marriage to her man Bucci Franklin at a party in Lagos. He gladly said yes!!! "About last night. Not every time wait for bar to propose. Sometimes take the bull by the horn. I was so nervous but HE SAID YED! 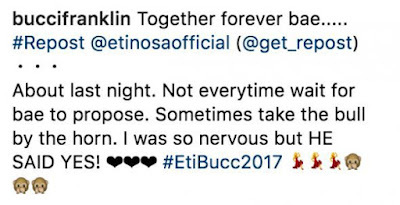 #EtiBucc2017"